Are you interested in trees and arboriculture? 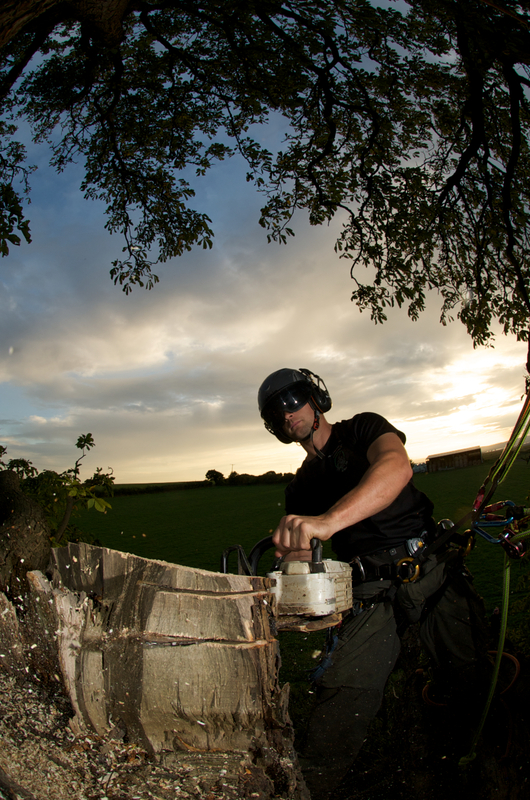 See what our Arborists are getting up to and keep up to date with what you should be doing at different time of the year to keep your trees healthy. 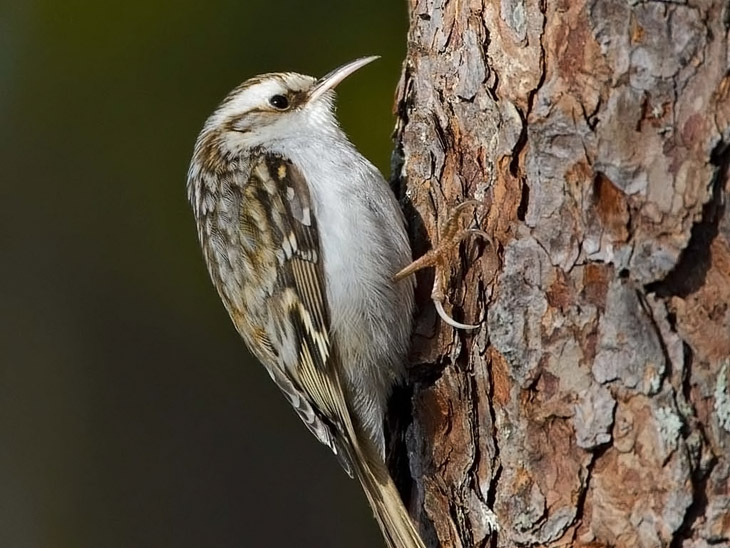 Treecreepers: The bird behind the name! Since re-branding as Treecreeper Arborists Ltd in April 2011 we have received lots of positive feedback about our name and logo and many people have asked us about the bird behind the name. So, we thought now would be as good a time as any to tell you a little bit about this beautiful little bird and why we chose to adopt it as our logo and namesake. There is only one UK species of Treecreeper, Certhia familiaris or Common Treecreeper with several other species worldwide, one of which is a rare visitor to the UK from Europe. The Common Treecreeper is a small, rather round bird coloured on its upper parts to camouflage well on the bark of a tree trunk where it spends most of its time. It is characterised by its distinctive long, sharp, downcurved beak which it uses to extract insect food and seeds from crevices in the tree bark. Treecreepers have stiff tails used for support when climbing and large feet with sharp, arched claws. Thanks to local artist Mat Sheldon and Graphic Designer Sarah Parr. When we were working on designing the logo with the help of local artist Mat Sheldon and Graphic Designer Sarah Parr we tried to incorporate these characteristic features. This is why the feet and beak are almost over exaggerated and we have tried to capture the dumpy shape of the bird. Many thanks are due to Mat and Sarah for all their work drafting, redrafting (of which there were many!) and digitising the final design. For their contact details for any of your art and design needs, just contact Treecreeper Arborists and we will be happy to pass your details to them. The Common Treecreeper breeds in the UK and is resident here and while the birds leave their breeding territories in Autumn, most range no further than 20 km (RSPB, 2011). They nest between loose bark on tree trunks and in specially designed nest boxes, in gaps between planks of wooden buildings or in log piles. Their nests are built on a base of twigs and consist of a bowl made of decaying bark fragments, juniper bark and feathers (NatureGate, 2012). Female Treecreepers lay their eggs between April and May and incubate them for 14-15 days. Once hatched, the fledgelings remain in the nest for 13-18 days (NatureGate, 2012). Look out for Treecreepers in woodland areas where you can see them starting near the bottom of a tree and working up the trunk, often in a spiral searching for insects and spiders in the crevices of the bark. When they reach about half way up the trunk, they can be seen fluttering down to the base of the next tree to start again. It was this behaviour which attracted us to using the Treecreeper as our name and logo as their paths up and down trees are similar to the way our Arborists move up and down (without the flying of course!). 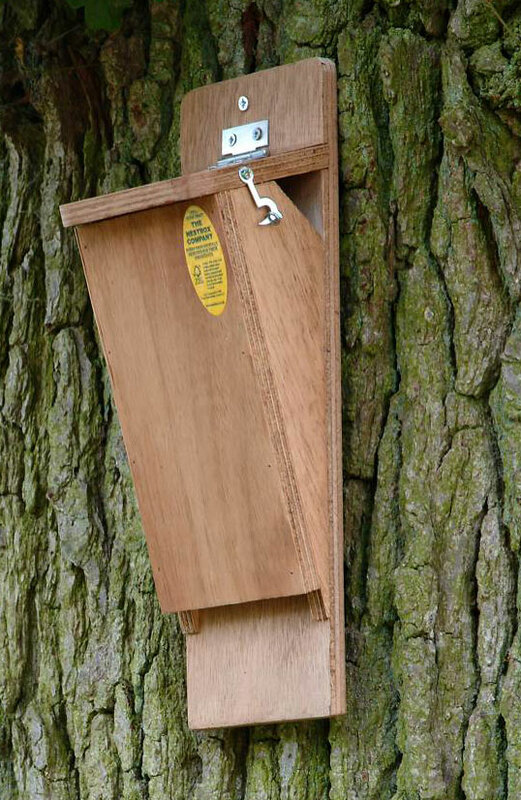 If you are thinking of putting up bird boxes in your trees, why not see whether a specialised Treecreeper nesting box would be suitable? Being so small, these little birds are particularly susceptible to heat loss on cold winter nights. Have a look at The Nest Box Company Ltd at http://www.nestbox.co.uk/Tree-Creeper-Nest-Box.html for treecreeper specific nest boxes. Now is the time of year to be carrying out pruning work on Prunus spp. including cherries and plums. With a lot of orchard pruning taking place over winter while the trees are dormant, Prunus spp. often get lumped in with other orchard trees, but it is often better to wait until spring and early summer to minimise the risk of silver leaf disease. Silver leaf (Chondrostereum purpureum) is a fungal disease which attacks a wide range of deciduous trees and shrubs, however Prunus species are particularly susceptible to it. The fruiting bodies of the fungus produce spores which are carried by wind and infect trees and shrubs through wounds, mainly caused by pruning. The fungus produces most of its infectious spores in autumn and winter where drizzly, rainy, foggy or humid days with no wind or sun provide the perfect conditions for spore release and infection. By pruning susceptible species at this time, you will open up wounds which will be slower to heal as the tree is in its dormant stage and will provide an entry point for infection. Once infected, the characteristic symptom of silver leaf disease is a silvery sheen on the foliage. This is caused by the fungal toxins in the sap stream being transported to the leaves and causing the leaf tissue to separate, giving the leaf a silvery appearance. Symptoms can develop throughout the whole tree or on just a few branches depending on the point of infection, however, once branches die, fruiting bodies grow on the dead wood and the cycle starts again. When branches are cut across, an irregular, dark stain may also be observed in the centre. As with many infections, prevention is better than cure. Good orchard hygiene can reduce the amount of spores on the orchard, minimising the risk of infection. Poplars and Willows can act as hosts for silver leaf so careful management of the surrounding trees is just as important as managing those trees within the orchard boundary. Potential host species surrounding the Orchard should be pruned during the growing season to enable wounds to heal rapidly, with trimmings being burnt or mulched. Removal and burning of major deadwood can also help minimise the amount of spores by reducing the available growing medium for the fungus. Dead or dying trees should be removed by autumn and burned before fruiting bodies can develop and release spores over Autumn and Winter. If you are removing trees completely, try to grind out the stumps or cover them over with soil to smother the fungal fruiting bodies. It is also important to utilise good pruning practices which can be found in detail in BS3998:2010 Tree Work Recommendations. If you are using a Tree Surgeon/Arborist, check that they have a copy of this British Standard and that they are working to it. If you are undertaking small scale pruning yourself, speak to your Arborist for advice on pruning. A good Arborist will care about the health of trees and will be happy to provide a reasonable amount of advice for free to help you manage your trees effectively. It is most important that all pruning cuts result in a minimal exposure of unprotected wood and cuts are cleanly made with a sharp pruning saw/secateurs so that they can heal quickly and cleanly. Which brings us back to where we started! If you are thinking of carrying out work on Prunus spp. now is the time to be undertaking this work to the above guidelines. In spring and summer, there are not only less Chondrostereum purpureum spores about to infect open wounds, but the trees are actively growing rather than dormant which means they can heal more quickly, covering over and compartmentalising the wound to prevent infection. Similar silvering of foliage can be caused by cold, drought or other forms of stress. This is known as false silver leaf and can be identified by the absence of stain in the wood. Binding, wrapping or painting pruning cuts is no longer recommended. The best thing to do is allow the tree to heal itself naturally while giving it the best chance of success by following correct pruning techniques and observing the best time of year for work to be undertaken.